List of valuable Lego pieces and parts. 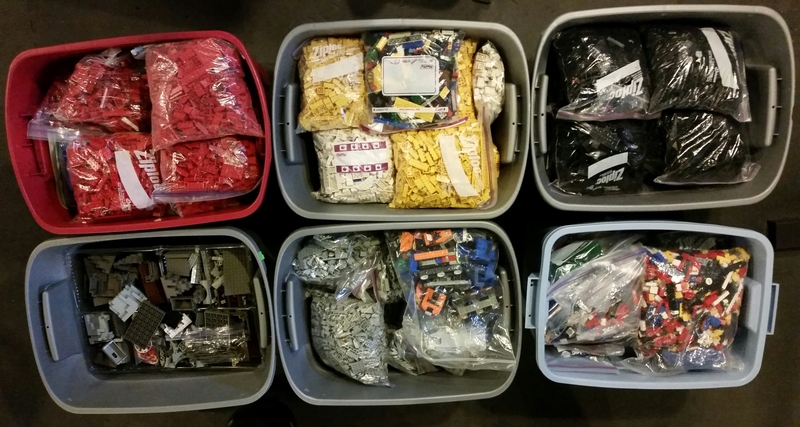 I have several large tubes full of Lego pieces that I am thinking of getting rid of to clear some space. I realize there are rare and expensive parts, but are there common parts through the years I should look out for that are harder to come by and are sought after by MOCers and the like? I've found the 1x4 hinge plates (1x2 - 1x2) are useful but sometimes hard to get hold of in colours like white, tan, etc but they are not particularly rare. otherwise by colour things like dark blue, dark green are not necessarily "rare" but sometimes harder to get hold of in quantity. Sand green, sand red, etc obviously are rarer but useful. Hahahahaha. The reason why I am asking because recently I was trying to build a B-Unit for my Santa Fe Super Chief and the light gray curved roof pieces can get expensive. $1.50 used to $3.00 new and you need 28 of them. You are already in $45-60 for just part of the roof. I could be wrong, but I think older specialty parts are dearer to folks trying to complete vintage sets than they are to MOCers. I myself don't list many used parts on BL, but from what I'm told some Classic Space elements are highly sought after. Figuring out which ones is the tough part. That's not too far off. I will post a pic of that if/when that happens. Wouldn't mind getting a shite-load of the old green granule trees and bushes. They always looked far more realistic that the soft green moulded trees. Still got two granule bushes unbroken, but all others have departed to Lego heaven. Other very rare (unbroken) rare pieces include the turning arms and baseplates for trucks such as #332 and #333. Also vintage hinges (unbroken) esp the 2 x 8 ones; and even the old 10 x 20 x 1 grey bases (before they had a line of hollow studs along the perimeter). (the ones that came with sets through out the '60s; we had so many (well, maybe 10 or so between 4 boys) but none survived unbroken. This was the only known source of the 1x2x2 classic windows in gray (10 of them in the engine), and also the only known source of the 3x3 double convex low slopes in yellow (4 on the roof of the engine). See, this is the type of info I need. I happen to have a couple of those light gray windows somewhere. Only available in 2 sets. 4 in the Darth Maul Sculpture and only 1 in Ogel's Control Center. So is the discussion here about rare parts or more common parts that are worth more than parts with similar availability? Because a lot of the stuff being mentioned is simply rare, thus accordingly expensive. The bright green Exo-Force hair was in several Exo-Force sets but runs about USD $4.50. I'm sure this is mostly because it's in Market Street, but it's also in demand for use as trees in microscale MOCs. I've been wondering about the 1x4x5 half arches.... there are now 2 versions... the older one called "continuous bow" (introduced in 1986), and a newer version called "irregular bow" (introduced in 2008). Because the continuous bow was found in the 10189 Taj Mahal Set (8 of them), and because the newer "irregular bow" version appeared to be replacing it... the older version jumped up in price to several dollars per 1/2 arch piece. But suddenly in 2014 the continuous bow half arch in white made a re-appearance in 2 sets, the quantity available jumped quite a bit, and the value dropped. This may have been due to the quantity still in inventory... but with TLG one never knows. If the older continuous bow version does disappear from sets in the future, then we'll know that they did retire that mold, and the fact that 8 of these are found in the Taj Mahal... that will increase their value, like they did about 8 months ago when they were going for $2.50+ each. This is one I'm keeping an eye out on... since I have about 100 of the mint white continuous bow arches. Also, another item I am watching are the Maersk blue parts. With Medium Azure replacing Maersk blue on all future Maersk ships and other product... it seems likely that the Maersk blue LEGO parts supply will eventually dry up, or become quite pricey. next consider one off printed parts, for example: http://www.bricklink.com/catalogItem.asp?P=48933pb01 appears in only 1 set, a Kabaya mini Slave I. the set its self runs around 15-45 bucks but that 1 piece accounts for 90% of that cost at 11 to 13 USD. and then there is the widely known radar dish for the UCS MF which goes into the hundreds on its own! 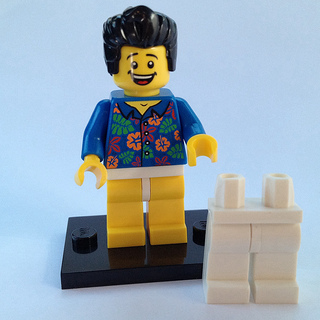 We might have to start another thread "Rare and Valuable Lego Pieces and Their Secondary Market Value." ;) Yeah, I was mostly looking for input on what pieces people find valuable for MOC's and maybe parts that have significantly more value than others. The UCS MF Radar Dish is very expensive. Regarding the MF dish, technically I suppose it is, but I don't know if I'd call a little over $100 to be "into the hundreds," but maybe that's just me. I know that many people use this part in Trans-Medium Blue for water/ice. Availability has dried up quite a bit recently leading to very high prices. ^I saw that one ahead of time and stocked up 1.5 years ago when they were still current. Thankfully I did too, whew! 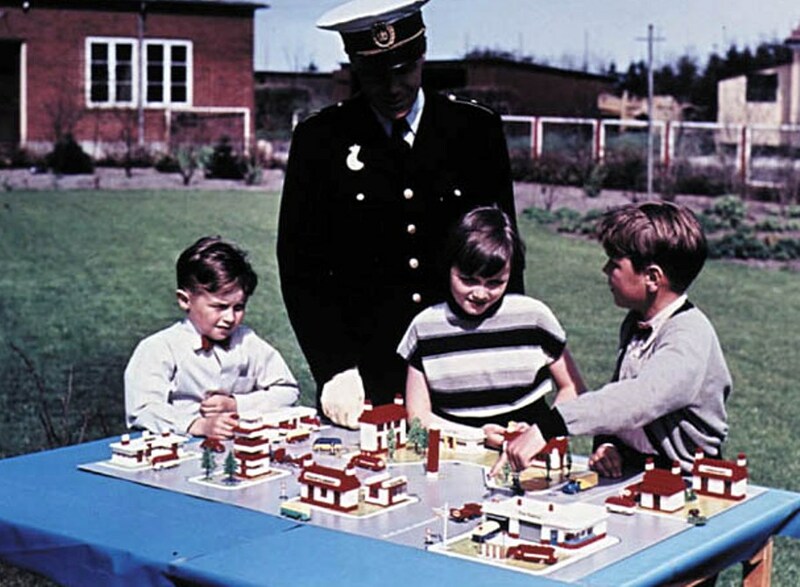 They were produced as prototypes, and used in this 1955 image in the yard behind Ole Kirk Christiansen's house in Billund, with 3 of his grandchildren (LEGO owner Kjeld on the left) posing with the Billund traffic policeman. 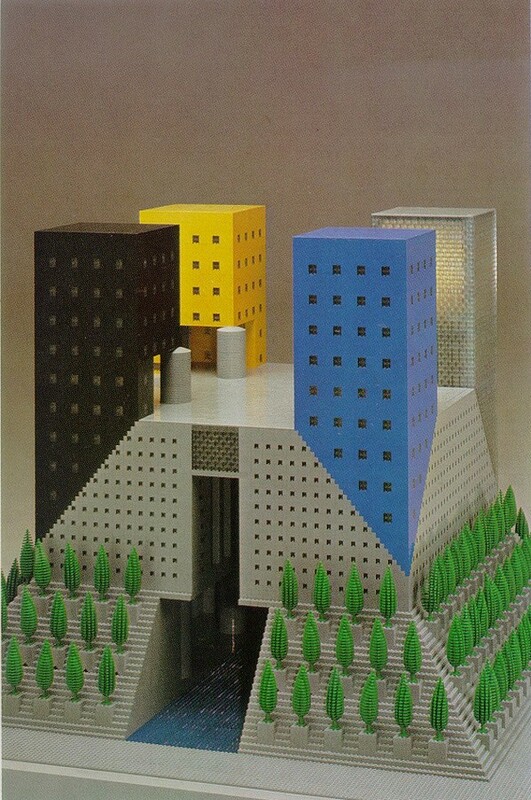 The Town Plan scene shown here was used for 3 years (1955-58) on LEGO spare parts pack boxes. From my LEGO collectors guide chapter on LEGO specialty parts. I was bummed when a rare trans-black hinge (for the UCS Snowspeeder) popped up on BL a few days ago for $25. It was el-gonna instantly. Been trying to finish one. About a week or two ago, got a BL want item notice and instantly leaped at a #10019 sticker sheet for $80. On paper, that's *ouch* for a small sheet of stickers. But if you were to see how bad it was looking on ship with half of them starting to curl up and a couple actually crumbling to dust, then you'd understand why it was necessary to obtain. This was the cheapest I've seen in a long while, most are around $120-$140. I wonder how much luck people have had searching for a rare part in a brick pile (at a flea market, etc.) or in a purchased bulk lot. Found a black sword from the #6041 armor shop Castle set in a parts lot, though to be fair I saw it in the picture of the lot before buying the lot. @BrickDancer , what I would do is make a high quality scan of the sticker sheet once you obtain it and put it in a protective sleeve. Then I would print out the sheet and make your own stickers then apply them to your model. I guess I would consider sticker sheets to be a "part" of a Lego model and I know some sticker sheets can be quite expensive. I would still like to see sticker sheets in their own category though. Our SW Watto arrived handless, and a long dream has been to find the original med blue hands. (Unfortunately they go for over 25US per hand on BL. ) While they are not as rare as the garage doors above, they are moving up the rare list. It would be great if they would produce lots of figs with med blue hands so we could use newer ones to bring our Ol' Watto back to life. It warms my heart to see exorbitantly high prices of rare parts collapse when LEGO decides to reintroduce the part in a large volume. It warms my heart to see exorbitantly high prices of rare parts collapse when LEGO decides to reintroduce the part in a large volume. OH HAPPY DAY, OH HAPPY DAY... Watto just got a pair of med blue hands! Now I can sign him up for piano lessons. I was putting arms on a pile of bare torsos, and lo and behold, TWO medium blue hands jumped out of the baggie. Wooooohooooo! The 5x5 yellow technic brick is starting to become quite hard to find and therefore expensive. Doesn't help that the UCS Falcon uses 16 of them. The good old yellow legs follow a similar pattern. New is 10x the cost of used. 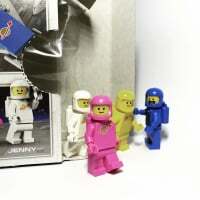 ^That includes LEGO itself for taking us down the minifigure reality show path. I have a sealed space set and I looked up the part out worth just out of curiosity and to my surprise the part out is more than the set in the box! It seems most sets part out at higher prices than buying new. Or at least the ones I've looked up. You can buy a brand new set at MSRP and part it out and it will go for much more than MSRP is (if you actually are able to sell all of the pieces). Very interesting the aftermarket is. Maybe. Selling new condition "old" parts at high values probably takes years. ^ Just found that interesting as I have that set, hopefully complete. I really do need to get on with cleaning all my old Lego pieces & re-assembling all the sets to check for completion... I already know that some of the sets, particularly the Futuron & Blacktron I stuff is missing bits, suspicions a family member may have sold off bits their collector friends were after.